Advertorial feature: With so many choices to pick from, you need to take into account the essential parameters for choosing the proper NAS device to suit your home or office needs. There are plenty of factors to weigh when it comes to picking the right NAS device. Obviously, getting a NAS device which aces through all these categories would be undoubtedly expensive but there are plenty of models available that have enough features in each price segment so finding one for your needs shouldn’t be difficult. 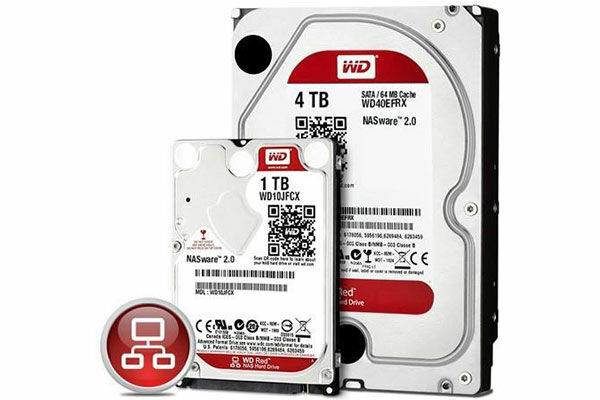 There are a lot of options and there are plenty of features that you need to consider before purchasing one of these drives, read on to figure out what NAS best suits your needs..
WD® Red™ NAS hard drives are power efficient, come in different form factors and capacities, run cooler and feature NASware™ 2.0. The following table lists all the different models for you to choose from. 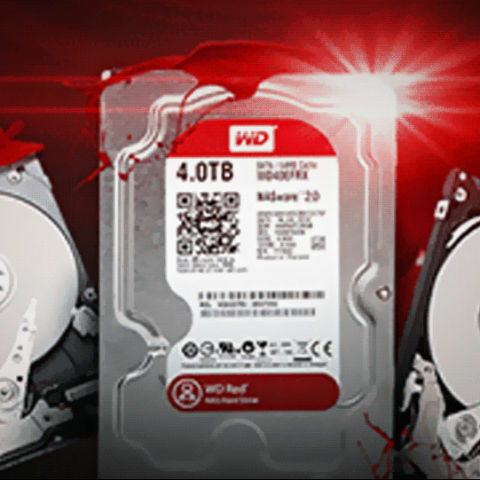 One of the important factors when deciding on a hard drive is whether it is supported by the NAS manufacturer - this is where WD excels because pretty much every popular manufacturer supports WD’s portfolio of Red hard drives. The overall capacity of your device is limited by the number of drives that you have in them. And if you have RAID enabled, the capacity will drop according to the mode of RAID selected. Refer to the table in this article for more information on RAID modes and the capacities they offer. 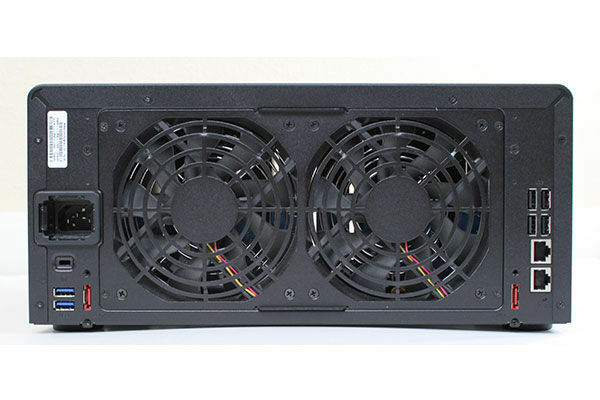 NAS devices often have support for RAID (other than single-bay devices, obviously) and require a minimum of two hard drives, which mean there will be at least two-bays. Having more bays also means that whenever any of your hard drives goes out of action, you can easily swap them out without loss of data, i.e. only if you choose a RAID that supports redundancy. Hard drives are available in 2.5 inch form factors as well as the traditional 3.5 inch form factor. The 2.5 inch drives with high capacity carry a price premium and storage capacity is also limited to 2 TB which is why the 3.5 inch drives are most popular when it comes to picking one for your NAS. SSDs are available in large capacities (120 GB – 1.6 TB), but the cost per GB is still quite high compared to hard drives, however most NAS that do support SSDs use the SSD as a cache drive to speed up data transfer between the NAS and your computer. The Drobo 5N is one such SOHO model which has an mSATA socket for a SSD cache drive. Your NAS can be set to allow you to access your precious data from anywhere across the globe. You can even configure your NAS remotely. A more premium feature in aftermarket devices offering the ability to set up a webserver on your NAS. So you can host your website on a NAS or you can host the media content on the NAS, but you’ll need a fast Internet connection to ensure enough visitors to your website have a smooth experience. Of course, you can store your media on the NAS, but having a software that automatically sifts through them and tabulates the same for easy access later on is always a welcome feature. You can set your NAS to automatically let your home computers backup data at regular intervals. You’ll need to configure your individual computers to enable this feature as well since backing up everything isn’t feasible. RAM requirements scale according to the features that are utilized, so if you have errors checking and correcting(?) or anything similar, the RAM requirements ramp up with certain algorithms needing 1 GB RAM per TB of data being managed. However, there are models that allow you to upgrade later in case the need arises. If you wish to stream directly from the NAS device, go for a model with Wi-Fi integration, however, it would be better if you go for a modular approach and use devices without Wi-Fi included. This way, you can simply change your wireless router when you wish upgrade to a better 802.11 protocol revision. Ports for connecting to various storage peripherals are another aspect to be considered if you are to hook up external devices to your NAS. So eSATA, USB 3.0 and Thunderbolt™ are the more popular high-speed ports commonly featured on NAS devices. The days of the 10/100 interface are behind us and Gigabit is the way to go. Even routers now support Gigabit transfer speeds over 802.11ac but that is when communication is happening both ways. Also having a greater bandwidth means that more clients can be satisfactorily catered to simultaneously. However, greater bandwidth doesn’t translate to higher speeds unless you take care of all bottlenecks. Which means at each and every intermediary stage the transmission medium should be of equal capability. Example, connecting a gigabit capable NAS to a router that doesn’t support gigabit connectivity will result in all transmission happening at the maximum capability of the router. The operating system of the NAS plays a huge part in the decision process. Most of the features are actually enabled by the software rather than the hardware which is why an OS which is more open source friendly will have that many plugins available. If there is any particular set of features that you’d like in your NAS device then do check the user manual online to see if the device supports them. Or you could check if you can use one of the many open source distributions available online with the NAS device. You can make a web server or a media server out of your NAS if you manage to get the right plugin. Also, features like remote access over the internet and auto-backup are enabled by the software in most devices. Hot swapping is another feature which is helpful if you plan on swapping the hard drive out of your NAS device. Hardware RAID is preferred over a software RAID anytime. There are multiple RAID configurations for different usage scenarios. Eg. RAID 0 for speed and RAID 1 for redundancy. Depending on what you wish to set up you’ll need to pick a NAS with the right number of bays since there is a minimum number of hard drives needed for setting up each type of RAID configuration. Check the table below for understanding the parameters of different RAID configurations. Ideally, RAID 10 offers a balanced between redundancy and performance. If your router doesn’t support a printer via USB, you can still opt for a NAS device which can support USB printers. The noise factor depends upon the build quality of the NAS; a device with more drives will obviously vibrate a lot more. Excessive vibration is bad for any and all hardware devices. This is another reason to go for WD Red hard drives with NASware 2.0 since they intelligently balance the load and thus vibration is greatly curtailed. Nonetheless, you should check that the drive bays are secure and have padding or springs to absorb any vibrations. Check online reviews for getting an idea about this aspect since manufacturers only mention noise levels if the device is exceptionally silent. Being energy efficient is a feature that is most welcome for any electronic device. This is not only economical in the long run, but an energy efficient device also remains cooler. WD’s Red hard drives feature IntelliPower™ which controls the power to the drive and reduces power during less demand. This is primarily dependent on the hard drives you use, so rest assured if you have WD Red hard drives in your device. This was the last article in our four-part series on NAS devices, do write in to let us know about what you think and also if you have any suggestions. The other articles can be found here, here and here. NAS or NAS like device or a PC setup?? sir when will you put the list for october ? Is there a perfect rectangular smartphone?